I like to think of chambray as the fancier version of a plain tee shirt. 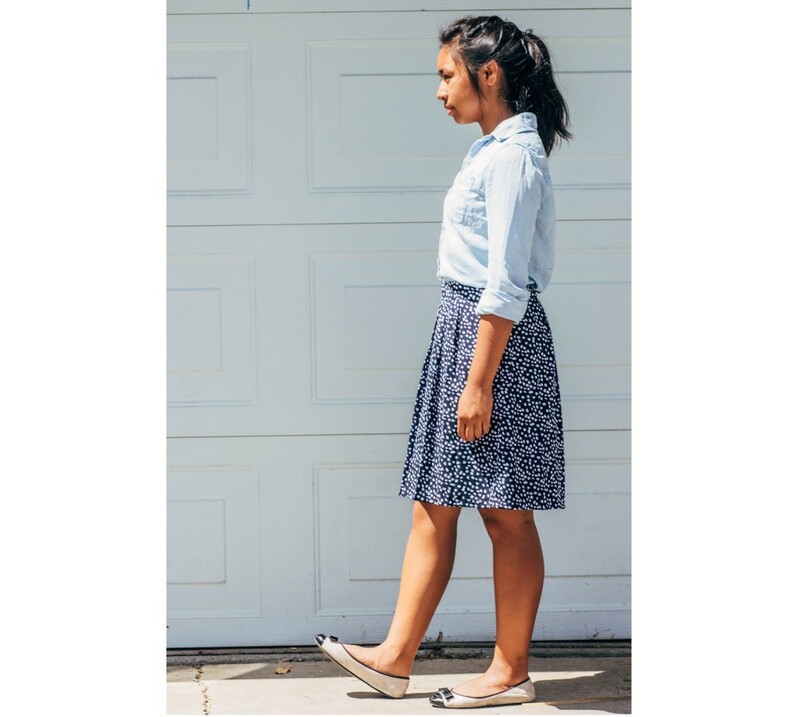 Chambray pairs nicely with patterned skirts by neutralizing the outfit, just like a white tee. 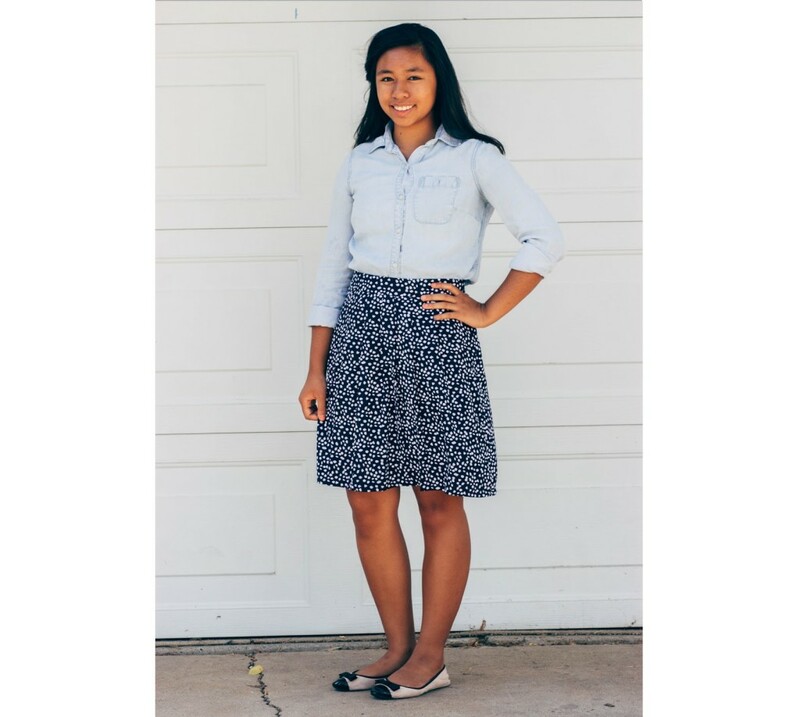 However, chambray gives an outfit a more classy and preppy feel. Denim jackets don’t exactly classify as chambray, but I had to make an exception. Everyone has those days when they’re rushing and don’t have time to think of an outfit. I think that the denim jacket and dress combo is a “no brainer” outfit. 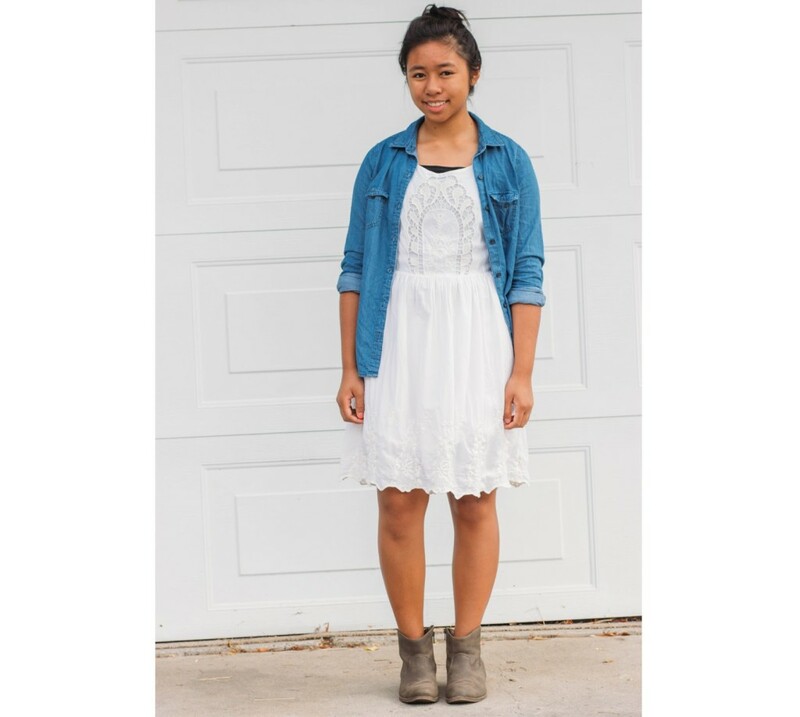 Just choose a dress, throw on a denim jacket, and voila! You’ve got yourself a cute outfit! Chambray is the perfect way to dress down an outfit so that it looks a bit more casual. You could even tie it in the front if you want. Chambray also serves as another layer of clothing. It’s a great substitute when the temperature gets too warm for cardigans. I love a good chambray dress. 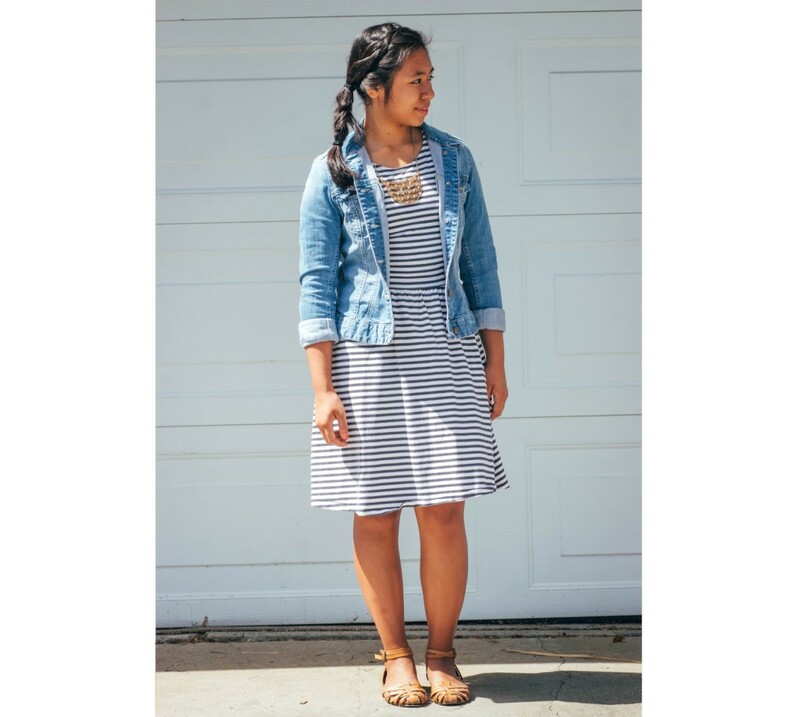 Just like the chambray top, this dress is versatile. You can wear it with a thick cardigan, printed scarf, flats, sneakers, or sandals. There are so many possibilities with this one dress, and it’s suitable for summer, spring, winter, and fall. 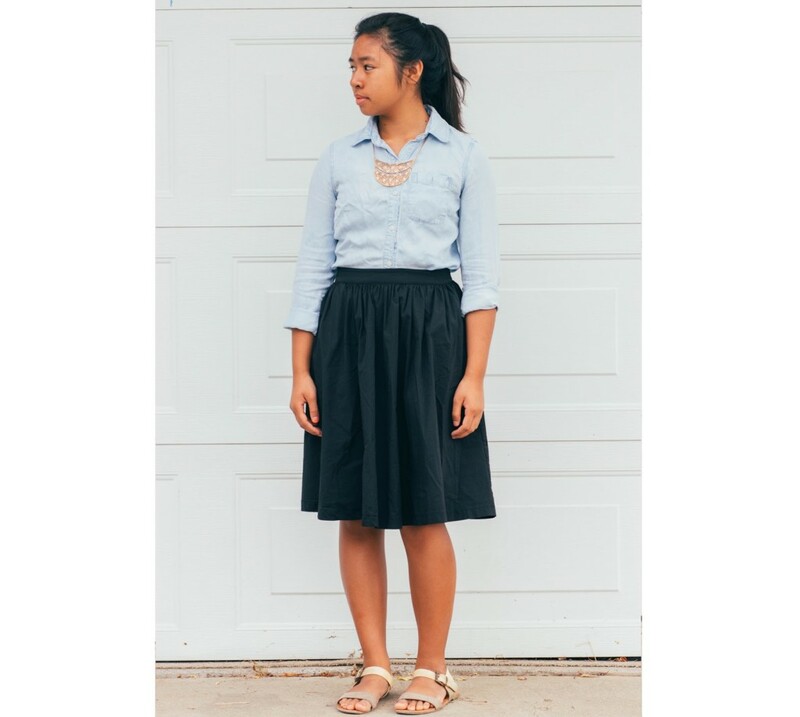 Here, I tied the chambray top around my waist to add some color to my outfit. 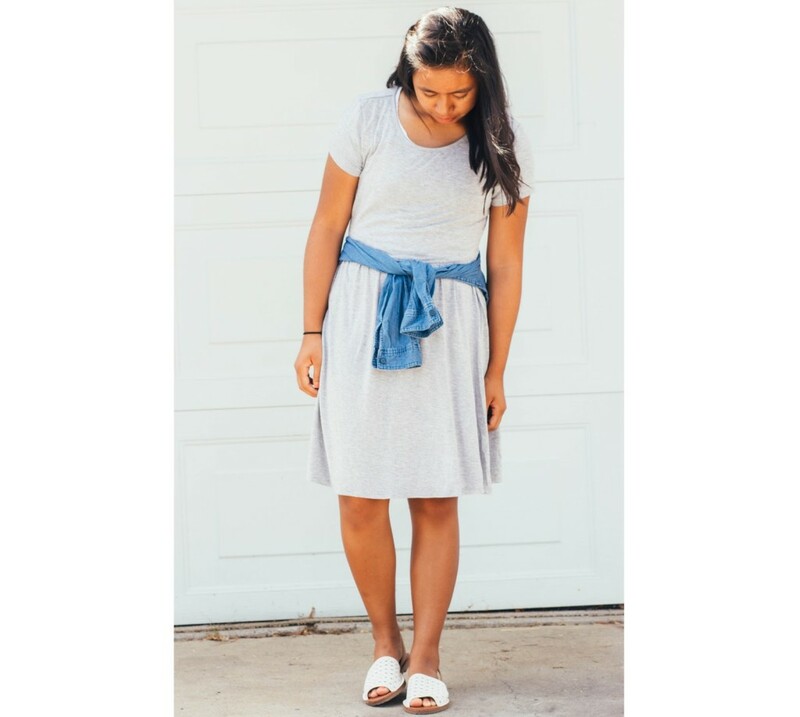 Without it, the dress would be, well, exactly what it is- a plain t shirt dress. Chambray works perfectly fine when paired with single colors. 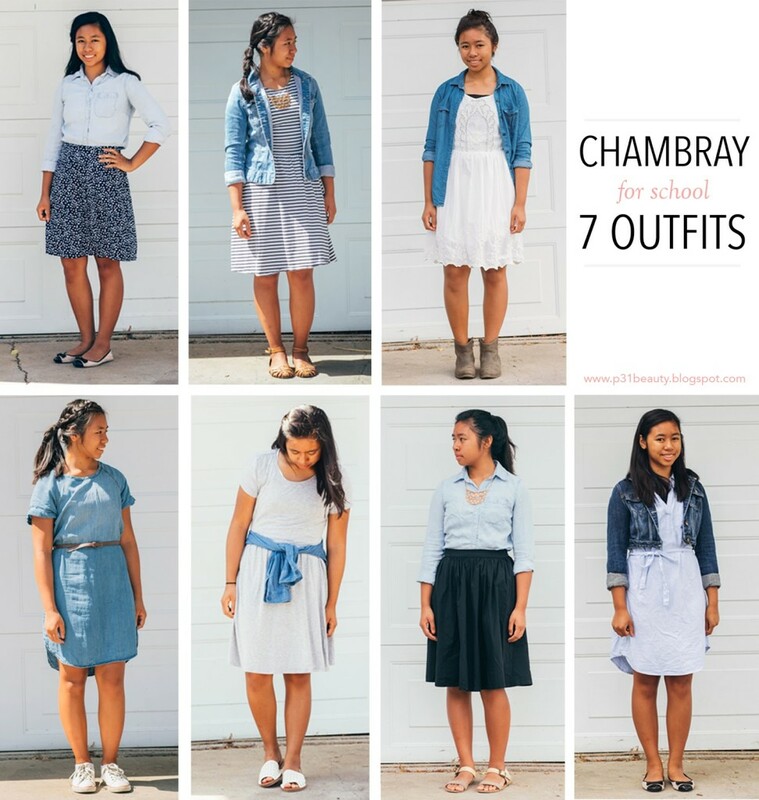 You can pair it with a skirt of almost any color because most colors match easily with chambray. If you want, you can spruce up the outfit by adding accessories, like a necklace or a watch. Chambray and denim match surprisingly well together. Enough said, haha! 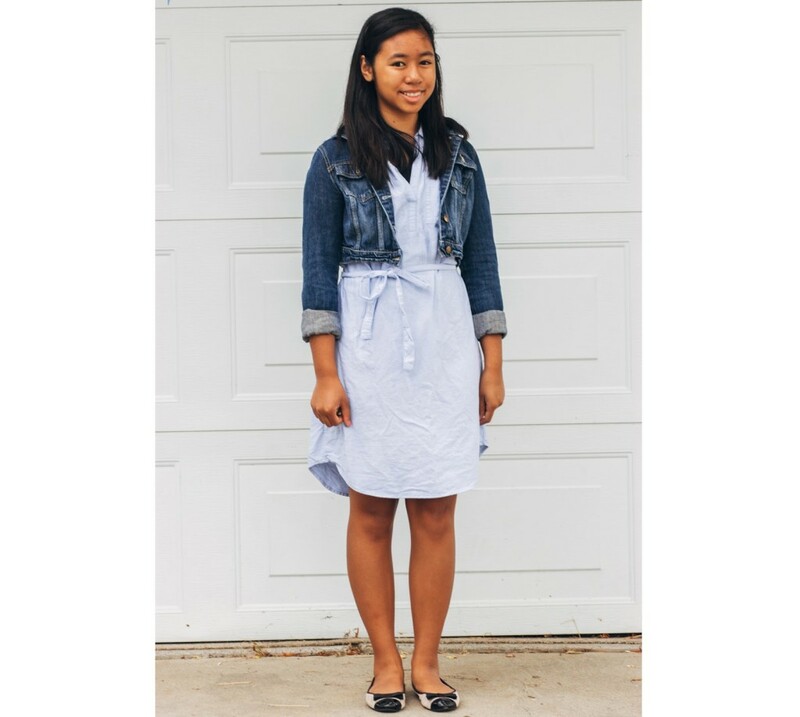 I love this chambray dress in particular because the bow adds a feminine touch to it. 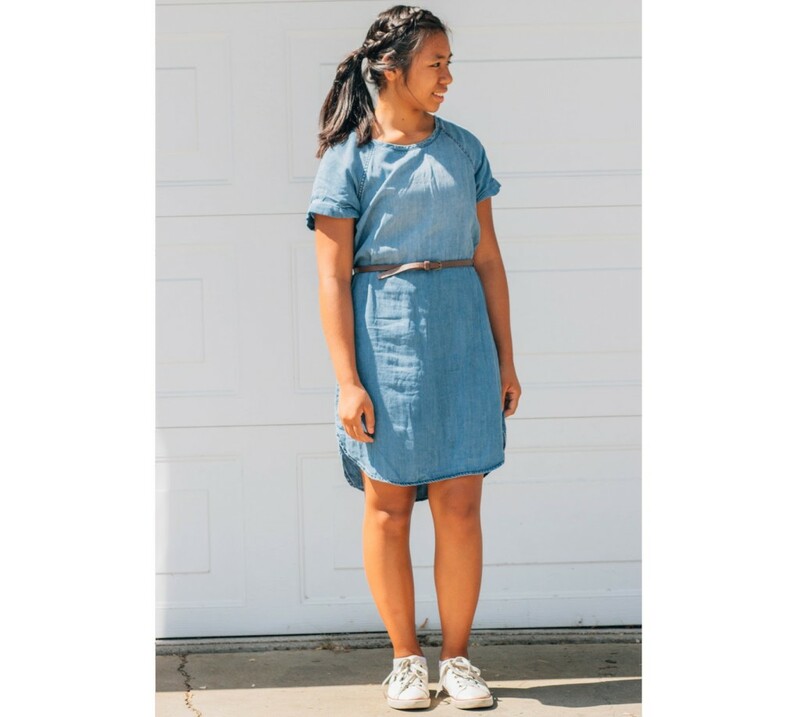 Like the previous chambray dress, this one is versatile and lovely in all seasons.